The Underwater Menace is a real hodgepodge. It's got mad priests, mad scientists, caves, mines, fish people, and a plot to blow up the world. This probably isn't anyone's favorite serial from the Second Doctor era, but it's the earliest one with any surviving episodes. 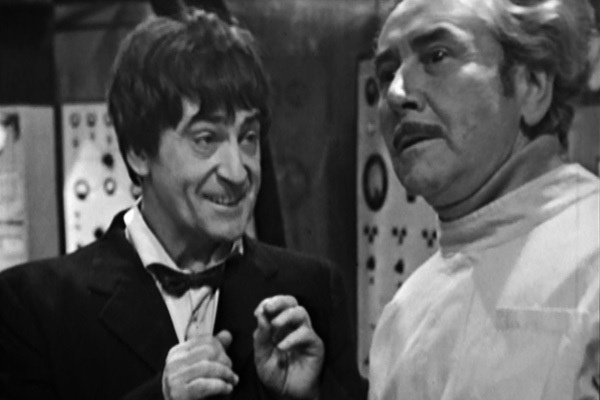 This is our first real opportunity to see the Second Doctor in action. Luckily, the main villain, Professor Zaroff, makes for a memorable adversary. His plot to destroy the planet is ridiculously dumb, but he's super evil and has a fantastic Austrian accent. Also, the Doctor dresses up as a gypsy at one point.